01/07/16 -- Soycomplex: Soybeans closed lower on the day but higher for the week, I guess you could call today pre-weekend profit-taking, but we could easily be back in the grips of a weather market again next week depending on weekend weather developments and the latest forecasts. The USDA this morning said that 160.845 million bushels of US soybeans were crushed during May, below the average trade estimate of 162.5 million. Informa estimated the 2016/17 US average soybean yield will be 46.9 bu/acre, with production at 3.892 billion bu (USDA June: 3.800 billion bu). The USDA announced that 40,000 MT of US soybean oil was sold to China this morning for 2016/17 delivery. Jul 16 Soybeans settled at $11.68 3/4, down 6 1/4 cents; Nov 16 Soybeans settled at $11.37 1/2, down 15 3/4 cents; Jul 16 Soybean Meal settled at $404.80, down $0.50; Jul 16 Soybean Oil settled at 31.03, down 35 points. For the week, front month beans gained 65 3/4 cents, meal added $29.20 and oil rose 4 points. 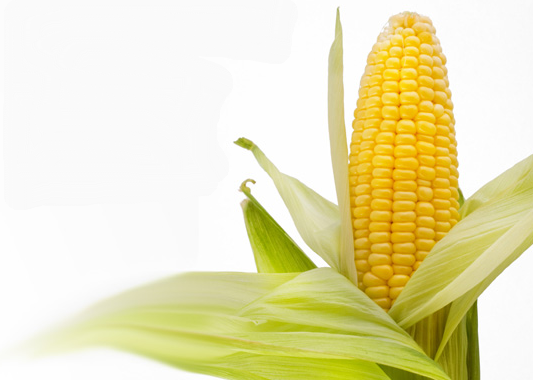 Corn: The corn market closed around 4-5 cents lower on the day and with big falls for the week. Southern Midwest areas are in for soaking rains over the weekend and into the early part of next week, according to the latest forecasts, although northern/eastern states will remain largely dry. Monday is Independence Day so US markets won't re-open until Tuesday. Informa predict the 2016 US corn yield will be 167.9 bu/acre, with national production reaching 14.531 billion bu (USDA June: 14.430 bbu). South Korea's Kocopia bought 55,000 MT of US corn for Aug/Sep shipment. In Brazil, Mato Grosso's safrinha corn harvest is 16% complete and Parana's is 15% done. In Argentina the Buenos Aires Grain Exchange said that the corn harvest only advanced 3% on the week due to heavy rain. The harvest now stands at 41% complete. Production was left unchanged at 25 MMT. Russia said that they exported 4.28 MMT of corn in 2015/16, using preliminary data. Jul 16 Corn settled at $3.53, down 5 3/4 cents; Sep 16 Corn settled at $3.60, down 5 1/2 cents. For the week Jul 16 corn was down 31 1/12 cents. Wheat: The wheat market closed lower. The US winter wheat harvest was 45% done as of last Sunday night and should have advanced to around 60% complete by the time we get the next USDA crop progress report on Tuesday. Yesterday's USDA report was also bearish, adding to the negative tone for wheat. Wheat has closed lower 15 out of its last 17 sessions, closed at new lows today, and has now taken out the 2010 lows. Russia said that according to preliminary data they exported 34.47 MMT of grains in 2015/16, an 11% rise on 31 MMT the previous season, said Rusagrotrans. That total included 24.9 MMT of wheat and 4.28 MMT of barley. Top home was Egypt (6.4 MMT) followed by Turkey (4.3 MMT), Saudi Arabia (2.4 MMT) and Iran (2.2 MMT). In July they will export around 2.5-2.6 MMT, similar to that of a year ago, they added. The Russian harvest has produced 4.3 MMT of grains so far and yields are up 14%. Taiwan are in for 106,000 MT of US wheat. The Buenos Aires Grain Exchange said that the 2016/17 Argentine wheat crop was 61.5% planted. Production there should be sharply higher this year as plantings get back to "normal". Jul 16 CBOT Wheat settled at $4.16 1/4, down 15 cents; Jul 16 KCBT Wheat settled at $3.94 1/4, down 10 cents; Sep 16 MGEX Wheat settled at $5.00, down 8 1/4 cents. For the week CBOT wheat was 38 1/2 cents lower. 01/07/16 -- EU grains finished lower as harvest pressure outweighed crop concerns in western Europe. The day ended with Jul 16 London down GBP2.00/tonne at GBP110.00/tonne, Sep 16 Paris wheat was down EUR3.50/tonne at EUR152.25/tonne, Aug corn was also EUR3.50/tonne lower at EUR169.75/tonne and Aug 16 rapeseed tumbled EUR2.75/tonne to EUR357.75/tonne. For the week London wheat gained GBP1.00/tonne, Paris wheat fell EUR8.00/tonne, corn was down EUR5.50/tonne and rapeseed gained EUR5.75/tonne. Harvest pressure seems to be counting for more than worries over excessive rains causing wholesale quality downgrades in western Europe. FranceAgriMer today cut the proportion of the French winter wheat crop rated good to very good to 65%, some 6 points down on the week. That makes for a 10 point reduction in the last two weeks alone, and for one of 20 points in the last 7 weeks. This time a year ago 77% of the French crop was rated G/VG. 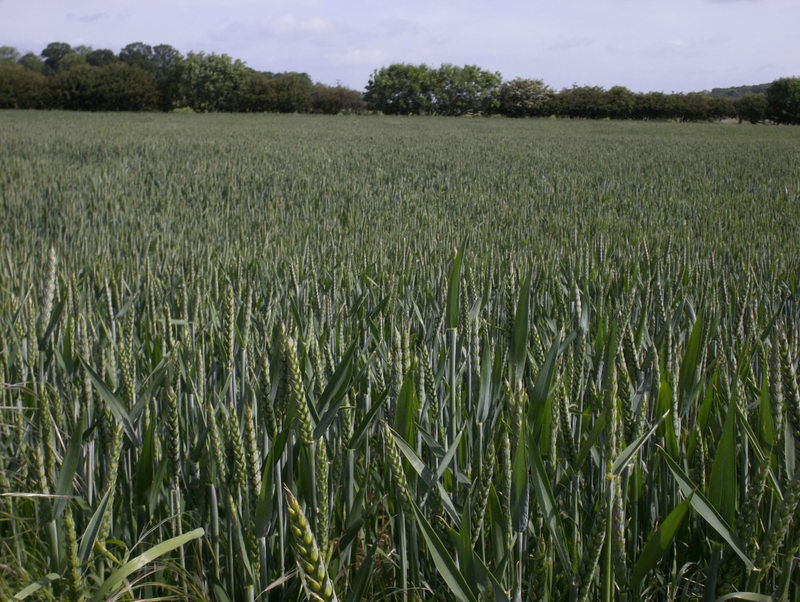 Winter barley ratings fell 3 points from a week ago to 62% G/VG (86% this time last year). Spring barley G/VP dropped from 76% to 71% (73% a year ago). Corn conditions were down 1 point to 68% G/VG. The winter barley harvest is 3% done nationally, with 23% of the crop already cut in the southern Poitou Charentes region as of Monday night. Anybody watching the Wales/Belgium (well done Wales!) game in northern France last night will not have failed to notice that it rained heavily throughout the entire game. The harvest rumbles on in counties like Russia and Ukraine though and early yields are showing a huge improvement on a year ago. The Russian harvest has now produced 4.3 MMT of grains so far, with yields up 14% at 4.26 MT/ha. The Ukraine harvest is 4% complete producing a crop of 1.18 MMT, with yields up 17% at 3.57 MT/ha. These are both using official Ministry numbers, but anecdotal reports from the field do confirm sharply higher yields. Agritel report the following Ukraine grain prices at port basis new crop delivery: 12.5% milling wheat $155; 11.5% $152; feed wheat $145; corn $153; OSR $380; soybeans $395. Brussels confirmed the release of 489 TMT of soft wheat export licences this past week, taking the seasonal total to 31.15 MMT, just shy of last season by 188 TMT. Some 10.3 MMT of that total was awarded to French sellers. Barley export licences totalled 10.1 MMT, an 11% rise versus 2014/15, of which France picked up 2.4 MMT worth. 30/06/16 -- Soycomplex: Beans closed higher. The USDA said that US farmers had planted almost 1.5 million acres more soybeans than the March planting intentions number at 83.70 million acres. Still, the number was slightly below the average trade guess of 83.834 million. Nevertheless, this is a record large soybean area and one that is up 4% on last year. Soybean stocks were 869.92 million bu, which was 38.925 million above the average trade expectation. Weekly export sales were strong at 730,000 MT for old crop and 798,000 MT for 2016/17. Coceral estimated the EU-28 rapeseed crop at 22.00 MMT versus 21.56 MMT previously and 21.74 MMT a year ago. Jul 16 Soybeans settled at $11.75, up 30 1/2 cents; Nov 16 Soybeans settled at $11.53 1/4, up 40 3/4 cents; Jul 16 Soybean Meal settled at $405.30, up $8.20; Jul 16 Soybean Oil settled at 31.38, up 56 points. Corn: The market closed sharply lower again after the USDA estimated 2016 US corn seedings at 94.10 million acres, well above the average trade guess of 92.986 million and up on the 93.6 million estimated in March. This would be the third highest planted acreage in the US since 1944. June 1 stocks came in at 4.72 billion bu, up 6 percent from the year previous and above the trade expectation of 4.528 billion. Weekly export inspections came in at 1.004 MMT - a bit lower than trade forecasts. Coceral estimated the EU-28 corn crop at 62.36 MMT, which that's up 6.6% on last year it is still down slightly on the 63.17 MMT estimated in March. The French crop was pegged at 13.67 MMT, up slightly on 13.13 MMT a year ago. Romania will produced 1 MMT more than in 2016 at 10.2 MMT, they estimate. South Korea's Kocopia tendered for optional origin corn. Jul 16 Corn settled at $3.58 3/4, down 14 cents; Sep 16 Corn settled at $3.65 1/2, down 12 1/4 cents. Wheat: The wheat market finished mostly a touch higher. The USDA estimated all wheat acres at 50.80 million versus an average trade guess of just under 50 million and a March guess of 49.6 million. That's still down 7 percent from last year though. June 1 stocks totalled at 981 million bu, close to the trade expectations. Weekly export sales were a better than expected 645,300 MT. Coceral forecast the EU-28 soft wheat crop at 148 MMT versus 145.2 MMT previously and 150.3 MMT a year ago. They have barley output at 63.3 MMT versus 59.1 MMT previously and 61.1 MMT in 2015. ABARES said that good rains forecast for Australia between now and October could boost wheat production there past the currently forecast 25.4 MMT. Russia's Ag Min said that they might harvest as much as 110 MMT of grains this year (104.8 MMT in 2015), with wheat accounting for more than 60 MMT of that total. Jul 16 CBOT Wheat settled at $4.31 1/4, up 1 3/4 cents; Jul 16 KCBT Wheat settled at $4.04 1/4, up 4 1/4 cents; Sep 16 MGEX Wheat settled at $5.08 1/4, up 2 1/4 cents. 30/06/16 -- EU grains traded mixed with thinly-traded Jul 16 London wheat closing up GBP3.00/tonne at GBP112.00/tonne, whilst new crop Nov 16 was GBP0.10/tonne lower at GBP120.50/tonne. Sep 16 Paris wheat traded down EUR1.00/tonne at EUR155.75/tonne, Aug corn was EUR3.50/tonne lower at EUR173.25/tonne and Aug 16 Paris rapeseed was EUR2.00/tonne higher at EUR360.50/tonne. Coceral raised their estimate for the size of this year's EU-28 soft wheat crop from 145.2 MMT To 148.01 MMT, down 1.35% from last year's 150.33 MMT. They also upped the ante on barley from the 59.07 MMT predicted in March to 63.27 MMT, some 3.5% more than a year ago. For corn they see production rising 6.56% this year to 62.36 MMT, ad OSR output up a little from 21.74 MMT To 22.00 MMT. So, increased barley production outweighs the decline in wheat output, and if the scenario of a deluge of feed only grade barley comes to pass that the HGCA were talking about yesterday then it's not too difficult to see why there's a GBP16/tonne differential between new crop feed wheat and barley. If that comes true, then it paints a picture of lacklustre demand for feed wheat from the compound and livestock sector come harvest-time as they all switch into much cheaper barley. In the UK Coceral see wheat production at 15.18 MMT, down 6.1% on a combination of lower plantings (1.827 million ha) and reduced yields (8.31 MT/ha). Barley production here is forecast at 7.15 MMT (7.28 MMT in 2015) and OSR output at 2.15 MMT (2.55 MMT). On the continent they have French soft wheat at 38.87 MMT (down 3.6%) and the German crop at 26.11 (26.45 MMT last year). A sharp 23.5% increase is seen coming from the UK's largest export home of Spain (6.42 MMT versus 5.20 MMT). Spain's barley crop meanwhile will leap 40.6% to 9.04 MMT this year they suggest. No great changes are forecast coming on OSR output from Europe's top two producers, France (5.21 MMT vs. 5.27 MMT) and Germany (5.35 MMT vs. 5.02 MMT). Corn production will be higher in both though, with France up 4.1% to 13.67 MMT and Germany seen 17% higher at 4.46 MMT. In other news the Russian Ag Min forecast a 2016 grain crop of 106-110 MMT (104.8 MMT last year), including "more than 60 MMT" of wheat (61.79 MMT last year). Tunisia were reported to have bought 100,000 MT of soft wheat at $177.25-178.77/tonne C&F, along with 75,000 MT of feed barley at $161.55-165.82/tonne C&F. Morocco are in for 133,000 MT of optional origin soft milling wheat. 29/06/16 -- Soycomplex: Soybeans closed lower and meal higher. Traders are jockeying for position ahead of tomorrow's acreage report. Guesses for that vary from 82.632 to 85.7 and average 83.834 million acres. The March figure was 82.236 million. A Bloomberg survey predicts June 1 US soybean stocks to be 0.831 billion bushels on average. Strong demand sees the trade anticipating another round of robust export sales tomorrow. Trade estimates for these are 500,000 to 800,000 MT of old crop, and 600,000 to 800,000 MT of new crop. Stats Canada pegged the 2016/17 Canadian canola acreage at 20.02 million acres, up from their March estimate of 19.35 million acres. Jul 16 Soybeans settled at $11.44 1/2, down 6 cents; Nov 16 Soybeans settled at $11.12 1/2, down 7 3/4 cents; Jul 16 Soybean Meal settled at $397.10, up $4.70; Jul 16 Soybean Oil settled at 30.82, down 29 points. Corn: The corn market finished the day sharply lower. A wetter outlook for the Midwest and book squaring ahead of tomorrow's USDA report was enough to take the shine off corn. Guesses for acreage tomorrow vary from 91.5 to 94 million acres. The March figure was 93.601 million. The average guess for June 1 US corn stocks sits at 4.52 billion bushels in a Bloomberg survey. Good weekly export sales are expected tomorrow, at 700,000 MT to 1.0 MMT for old crop corn, and from 300,000 to 450,000 MT for new crop. The Arg Ag Min said that corn plantings there might rise 20% next year due to new government rules on exports, the trade think that +30% could be on the cards. Seed merchants say that sales for 2016/17 are already running at around 60-70% versus only 10% this time last year under the old Macri government. South Africa's CEC estimates the corn crop there at 7.16 MMT and 2016/17 imports at 3.8 MMT. Jul 16 Corn settled at $3.72 3/4, down 12 1/2 cents; Sep 16 Corn settled at $3.77 3/4, down 11 cents. Wheat: The wheat market closed lower. In a Bloomberg survey, June 1 US wheat stocks are estimated to be 0.983 billion bushels on average in tomorrow's USDA report. Stats Canada estimated 2016 Canadian all-wheat plantings at 23.18 million acres this morning. That was down from its March estimate of 23.85 million acres, and smaller than the average pre-report trade analyst estimate of 23.4 million acres. Russia said that they had harvested 2.1 MMT of grains so far with average yields at 4.36 MT/ha (3.98 MT/ha in 2015). ProZerno said the country would export 34.8 MMT of grains in 2015/16 rising to 36.7 MMT in 2016/17 - the latter including more than 26 MMT of wheat. Jordan bought 100,000 MT of optional origin hard wheat at $204.50 C&F for Dec/Jan shipment. Trade estimates for tomorrow's weekly export sales report are 300-500,000 MT. Jul 16 CBOT Wheat settled at $4.29 1/2, down 14 1/4 cents; Jul 16 KCBT Wheat settled at $4.00, down 8 3/4 cents; Sep 16 MGEX Wheat settled at $5.06, down 7 1/4 cents. 29/06/16 -- EU grains traded lower into the close Wednesday despite wet weather woes in Europe continuing to cause concern. The day ended with Jul 16 London down GBP0.75/tonne at GBP109.00/tonne, Sep 16 Paris wheat was down EUR3.00/tonne at EUR156.75/tonne, Aug corn shed EUR0.50/tonne to EUR176.75/tonne and Aug 16 rapeseed was down EUR1.00/tonne to EUR358.50/tonne. French analysts Agritel say that the results of the early French barley harvest confirm worries about the quality of the crop there. 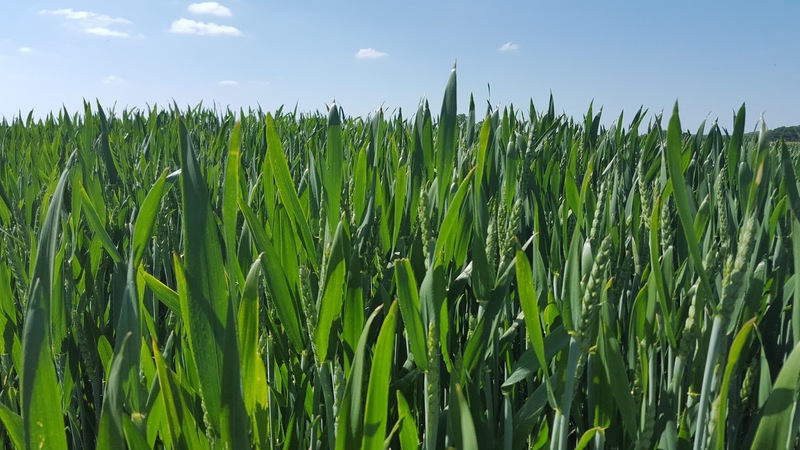 The HGCA touched on the current plight of the EU barley crop, citing possible downgrades to malting barley causing an abundance of feed grade barley this year driving the differential between wheat and barley much wider levels than normal. "The discount of UK feed barley compared with UK feed wheat for September was recently priced at £16/tonne, which is substantially more than we’ve seen this spring and the highest since last July. If concerns over the French barley crop materialise into increased proportions of feed barley relative to feed wheat supplies, this discount could grow even further," they said. UK traders will be starting to get nervous too (especially any that tuned into Channel 4 to watch the racing from Newmarket in Saturday where the rain was so heavy only the last half furlong was visible). 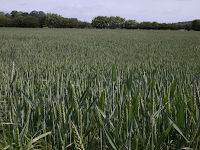 Could we be in for another year where there's a dearth of quality wheat available? French wheat good to very good crop conditions have dropped 14 points in the last six weeks, and French spring barley conditions fell 10 points last week alone! That doesn't necessarily paint a bullish picture for London feed wheat even if the outlook for the pound is lower - an abundance of cheap feed only grade wheat and barley looking for homes in 2016/17. Another season of aggressive marketing from Russia and Ukraine isn't bullish either. Russia said that they'd already harvested more than 2 MMT of grain so far this season and early yields are up 10% at 4.36 MT/ha. Russian analysts ProZerno said that the country would finish 2015/16 exporting 10% more grain than a year ago at 34.8 MMT, and that this figure would rise another 5.5% in 2016/17 to a record 36.7 MMT. Of that total wheat will account for over 26 MMT, they estimate. Russia and Ukraine might ship out 2-3 MMT each of grains in July, a large proportion of which will be wheat, according to Agritel. Tunisia are in the market tendering for 159,000 milling wheat, 109,000 MT durum and 100,000 MT of feed barley. 28/06/16 -- Soycomplex: Soybeans closed with decent gains, but off the intra-day highs. The trade scrutinised last night's crop condition report and was concerned that soybean conditions fell significantly in some leading Midwest states: Illinois dropped 4 points and Iowa -3 points. The forecast remains largely dry. There's talk that Argentine growers are reluctant sellers of their new crop beans as the peso falls sharply against the US dollar. Jul 16 Soybeans closed at $11.50 1/1, up 17 1/1 cents; Nov 16 Soybeans closed at $11.20 1/4, up 15 1/2 cents; Jul 16 Soybean Meal closed at $392.40, up $8.40; Jul 16 Soybean Oil closed at 31.11, down 15 points. Corn: The corn market closed around unchanged, with continued dry weather forecasts a worry. In last night's crop condition report from the USDA Illinois and Kansas dropped 4 points. Missouri dropped 3. North Dakota dropped 5 points in the good to excellent categories. Overall though the USDA left G/E unchanged when the trade was expecting a 2 point or so decline. Dollar strength is a concern for US exports. Talk of lower than projected US plantings this year also underpins a market where fund money is heavily long. A downwards correction can't be ruled out if something spooks them all at the same time though. The corn harvest in Brazil's top state of Mato Grosso is said to be 16.6% done and yields are down, production could be 23% lower than last year say IMEA. Jul 16 Corn closed at $3.85 1/4, unchanged; Sep 16 Corn closed at $3.98 3/4, down 1/2 cent. Wheat: The wheat market closed mostly a touch lower. Fresh news was scarce. China offered 2.5 MMT of wheat from state reserves up for auction and was hardly knocked over in the rush selling only 22 TMT. US winter wheat harvesting is 45% complete and crop conditions improved week over week, said the USDA last night. The combines are rolling in Russia and Ukraine and good crops are expected there this year. I've even heard of spring barley being cut in Russia! Early yields are said to be ominously good. It looks therefore like another strong export campaign can be expected from both again this year. Jul 16 CBOT Wheat closed at $4.43 3/4, down 3 cents; Jul 16 KCBT Wheat is at $4.8 3/4, down 4 cents; Sep 16 MGEX Wheat is at $5.13 1/4, down 1 1/2 cents. 28/06/16 -- EU grains finished mixed. A bit of sterling consolidation from the recent rout of the last few days had London wheat under a bit of pressure. The day ended with Jul 16 London down GBP1.00/tonne at GBP109.75/tonne, Sep 16 Paris wheat was down EUR1.25/tonne at EUR159.25/tonne, Aug corn was up EUR1.25/tonne at EUR177.25/tonne and Aug 16 rapeseed rose EUR3.25/tonne to EUR359.50/tonne. Fresh news was light today. Widespread rain and cooler than normal temps in the UK and northern France remains a worry, with similar conditions also said to be taking the shine off crops in southern Germany too. Things look better further east. Rapeseed is following Chicago soybeans. Russian customs data says that they've exported 36.71 MMT of grains so far this season (to Jun 27), of which 23.89 MMT (65%) was wheat, 3.45 MMT barley and 3.95 MMT corn. Jan 1/Jun 27 exports were 13.79 MMT including 7.92 MMT (57%) of wheat. Kazakhstan say that recent rains have boosted their harvest potential, with a grain crop of 17 MMT on the cards, of which 13.7-14.0 MMT will be wheat. They see exports in 2016/17 at 7.5 MMT. Tunisia are in the market for 110,000 MT of optional origin hard wheat for Sep/Oct delivery. Jordan again tender for 100,000 MT each of milling wheat and feed barley. The Egyptian Supplies Minister says that the country has bought 5 MMT of domestic new crop wheat out of an origin target of 4 MMT and is therefore covered for it's needs until mid-January. We can expect another tender from them fairly soon then! 27/06/16 -- Soycomplex: Beans closed sharply higher. Disappointing weekend rains were he catalyst. There's precious little in the forecast for the heart of the Midwest either across the next few days. Export inspections were a seasonally poor 272,066 MT, although the USDA did also report the sale of 150,000 MT of US soybeans to unknown destinations. After the close they cut soybean crop ratings one point in the good to excellent category to 72% (63% last year). They said that 95% of the crop is emerged (91% average) and 9% of the crop is blooming (7% average). Jul 16 Soybeans settled at $11.33, up 30 cents; Nov 16 Soybeans settled at $11.04 3/4, up 26 1/4 cents; Jul 16 Soybean Meal settled at $384.00, up $8.40; Jul 16 Soybean Oil settled at 31.26, up 27 points. Corn: The market closed little changed. A drier weekend than expected and the forecast for more of the same was supportive. Weaker wheat and lower crude weren't however. There's talk that Russian and Ukraine corn crops are developing well under near ideal conditions. The Russian Ag Min said that they'd exported 4.68 MMT of corn so far this season. The USDA said that 6% of the national corn crop is at the silking stage (5% on average) and left good to excellent crop conditions unchanged at 75%. Export inspections during the week ending last Thursday reached a better than expected 1.451 MMT, up 17.5% week over week, and 39.4% larger than the same week in 2015. It remains to be seen if the current dollar strength starts to eat into these. Ukraine seaports exported 230,600 MT of corn ast week, according to APK Inform. Jul 16 Corn settled at $3.85 1/4, up 3/4 cent; Sep 16 Corn settled at $3.89 1/4, up 1/4 cent. Wheat: The wheat market finished lower on dollar strength and harvest pressure. The move came despite decent weekly export inspections of 511,701 MT. 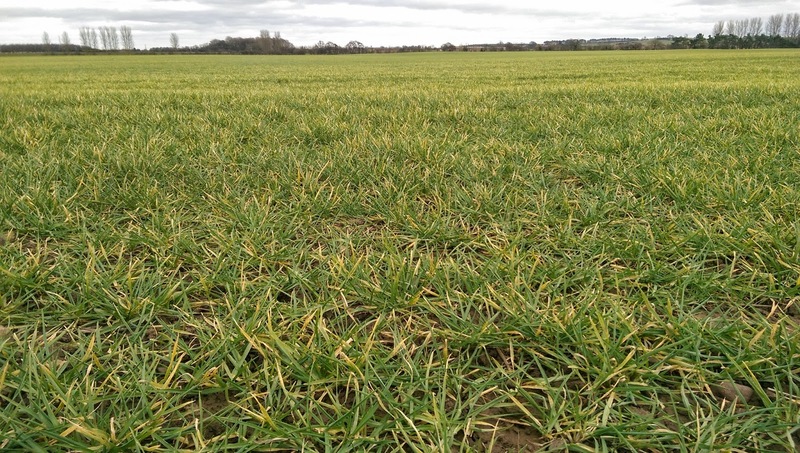 Whilst western European wheat may be struggling, conditions look better further east. National Bank Ukraine said that the country might harvest 60-61 MMT of grains this year, and in Russia they could bring in a crop even higher than last year it is now thought. They've started harvesting in both countries now, with the Stavropol area of Russia already past the 1 MMT mark, with early yields up 12.5% on last year at 4.42 MT/ha. The USDA FAS in Bulgaria said that the country would harvest in excess of 5 MMT of wheat this year (versus 4.6 MMT last year). Plantings were up 12% and 87% of the crop is currently in good condition, they said. This should facilitate exports in excess of 3 MMT, they added. The USDA said that the winter wheat harvest is 45% done. Spring wheat conditions fell 2 points to 72% G/E. Jul 16 CBOT Wheat settled at $4.46 3/4, down 8 cents; Jul 16 KCBT Wheat settled at $4.12 3/4, down 10 cents; Sep 16 MGEX Wheat settled at $5.14 3/4, down 11 3/4 cents. 27/06/16 -- EU grains closed higher on sterling/euro weakness, with Jul 16 London wheat closing up GBP1.75/tonne at GBP110.75/tonne, whilst new crop Nov 16 jumped GBP4.00/tonne to GBP124.00/tonne. Sep 16 Paris wheat was EUR0.75/tonne firmer at EUR161.00/tonne, Aug corn closed EUR0.75/tonne higher at EUR176.00/tonne and Aug 16 Paris rapeseed closed EUR4.25/tonne steadier at EUR356.25/tonne. The shakeout from Friday's shock UK referendum vote continues, with the opposition Labour party thrown into possibly more disarray than the ruling Conservatives despite the resignation of the latter's leader following the news. There are worries now that the situation could spread to the continent and possibly bring about the downfall of the European trade union entirely. The pound is down more than 11% against the dollar in two days, and has fallen by about 8% versus the euro during the same time. The euro meanwhile has fallen from over 1.14 to little better than 1.10 versus the greenback for a 3.5% decline of it's own. This helps explain the rise in value of London and Paris wheat, despite the fact that the 2016 harvest is almost upon us. They probably are in fact cutting barley in southern parts of France right now. Further north they will be waiting for drier weather to return. Worries remain about the French harvest, with crop conditions dropping like a stone, down 4 points in the good to excellent category for wheat last week. That marks six straight weeks of declines during which ratings have been cut by -1,-2,-2,-2,-3 and now -4 points. National Bank Ukraine said that the country might harvest 60-61 MMT of grains this year, and in Russia they could bring in a crop even higher than last year it is now thought. They've started harvesting in both countries now, with the Stavropol area of Russia already past the 1 MMT mark, with early yields up 12.5% on last year at 4.42 MT/ha. Russia's exports meanwhile have dwindled, waiting for these new crop supplies to come along. Russian seaports only exported 65,200 MT of grain last week, almost all of which (61,100 MT) was wheat. Still, season-to-date exports (to Jun 22) are up 11.7% on year ago levels at 33.59 MMT (of which 24.35 MMT is wheat). A record harvest again this year could see them looking to test that volume in 2016/17. Ukraine won't be far behind either, and both countries traditionally cram the majority of their sales into the first half of the season, so those wanting significantly higher prices may have to wait a while yet. Is That It Then? Is The Bottom Of The Market In? 27/06/16 -- Well, few saw the result of the referendum coming, certainly the currency market didn't with the pound flirting with 1.50 against the dollar on Thursday night. We're now at 1.33, for a decline of 11% in a day and a half, and on out way to 1.20 by the end of the year if HSBC are to be believed. Barclays are a bit less bearish at 1.24, but that's still nearly another 7% lower than where we are today. The euro too is under pressure from the threat of the break-up of the bloc. Are the UK merely the first rat to desert the sinking ship? Who'd want to trade with an EU that excluded France and Germany as well for example, with more "less desirable" nations in the east still queuing up to enter a party that the celebs are already leaving? The euro is down sharply versus the dollar, but still stands nearly 8% better against the pound since Thursday night. Meanwhile Nov 16 London wheat ended 4.2% firmer Friday and has added another 2.5% so far this morning for a net gain of 6.7% over the day and a half since the result came out. It seems then that London wheat may be more closely aligned to the STGEUR exchange rate than the STGUSD - and understandably so. So what are the prospects for the former? According to Barclays 1.18 by the end of the year, not much different to little better than 1.20 right now. Others are more bearish on STGEUR, UniCredit for example forecasting 1.11 by the close of 2016, some 7.5% below today. Add 7.5% to today's London wheat price and we get another GBP9.25/tonne of upside. A weak sterling should also support export prices of meat and dairy produce, the vast majority of which goes to Europe, although it will also of course put up the price of feed. 24/06/16 -- Soycomplex: Soybeans closed with some fairly steep losses for the day and the week. A sharply higher dollar following the release of the result of the UK "Leave" vote on Europe had both sterling and the euro under pressure. The fear now is that other EU member states might also end up holding referendums on membership and the entire bloc could fall apart. Europe are the world's second largest soybean buyer after China of course. A Bloomberg survey estimated the US planted area for soybeans will be 83.9 million acres, up from the USDA March Intentions figure of 82.2 million. 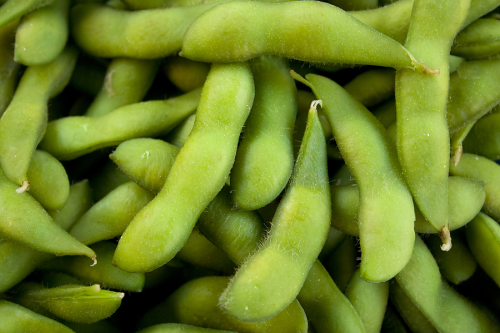 The USDA announced the sale of 411,000 MT of soybeans to ‘unknown’ destinations. Fund money remains long more than 200k lots of Chicago beans as of Tuesday. Jul 16 Soybeans settled at $11.03, down 21 1/2 cents; Nov 16 Soybeans settled at $10.78 1/2, down 23 cents; Jul 16 Soybean Meal settled at $375.60, down $7.60; Jul 16 Soybean Oil settled at 30.99, down 76 points. For the week Jul 16 beans were down 56 1/2 cents, with Jul 16 meal $31.80 lower and oil down 94 pips. Corn: The corn market finished the day 2-3 cents lower. The UK referendum vote isn't seen as such a big deal for US corn, which is barred from going there anyway by a punitive import tariff. Still, downwards pressure for beans was enough to drag the market a few cents lower. 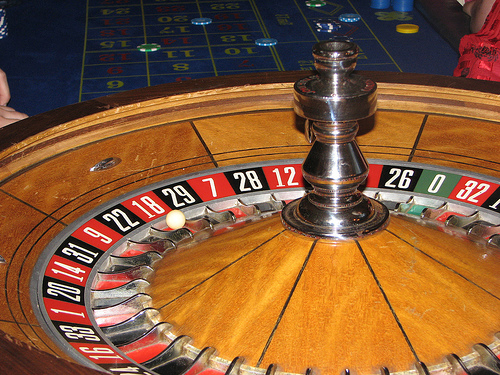 The stronger US dollar will be a hindrance to US export hopes. The Buenos Aires Grain Exchange said that the Argentine corn harvest is 38% complete. A Bloomberg survey estimated 2016 US corn plantings to be 92.8 million acres, versus the March USDA figure of 93.6 million. The CFTC report shows fund money net long 224,827 contracts as of Tuesday night. Weather perhaps holds the key to this week's direction, although Europe warrants keeping an eye on. With corn in the southern corn belt nearing tasselling and pollination a cooler outlook is welcome. These forecasts can, and do, change on a daily basis though. Jul 16 Corn settled at $3.84 1/2, down 2 3/4 cents; Sep 16 Corn settled at $3.89, down 3 1/2 cents. For the week Jul 16 was down 53 1/4 cents, the worst weekly performance on a front month for 3 years. Wheat: The wheat market closed mixed but mostly lower. A sharply weaker euro is bearish for US wheat exports. Fund money is however short Chicago wheat (-63,228 as of the end of Tuesday), which may be discouraging further selling. It is noteworthy too that the seasonal lows in CBOT wheat often come the end of June/beginning of July. The US winter wheat harvest is probably now about 40% done, and better than expected yields are still the story filtering through from the field. In Europe, wet weather continues to potentially harm yield and quality, especially in France where FranceAgriMer again cut quality ratings in their regular weekly report. Only 71% of the crop is now rated good to very good, ten points behind this time last year, and 4 points down on the week. That's not the situation in Russia though where production forecasts are increasing and reports form the field indicate excellent yield potential. Jul 16 CBOT Wheat settled at $4.54 3/4, up 1/2 cent; Jul 16 KCBT Wheat settled at $4.22 3/4, down 5 cents; Sep 16 MGEX Wheat settled at $5.26 1/2, down 4 1/2 cents. Chicago wheat was 26 1/2 cents lower for the week.